Greg was born-n-raised in Lake Mary, Fl. He is a true Florida Cracker! He grew up hunting-n- fishing the Florida swamps and listening to southern rock. Greg co-founded and was the lead singer for The Stone Wagon Band. He bleeds Dixie Grey and will until the day he dies! 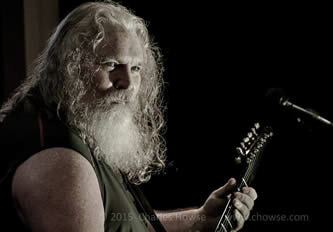 Jim started playing guitar in the 70's and was gigging at 14 years old. After several successful bands in the New York area, he took a short hiatus to serve his country in the USCG. 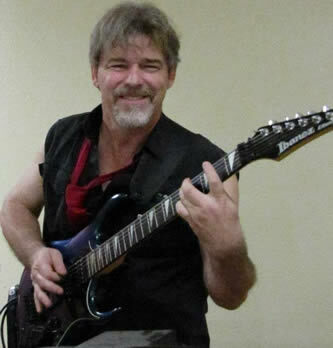 Jim moved to Florida in the 1990’s and started playing with many local bands in the central Florida area. In the past few years he has played in such bands as 357, The Drunken Puppies, Stone Wagon, Sundown Haze, Bruce Coale Band, Steven Green Band and now plays guitar in Highway Starz. Jim likes short walks on the beach, long rides on his Harley, kisses that last forever and making music with good friends! Chris began his musical career in Maryland. 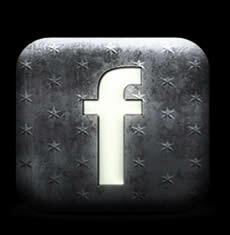 He plays a variety of music from Classic Rock, Southern Rock, Blues, Country, Top 40, and Dance Rock. 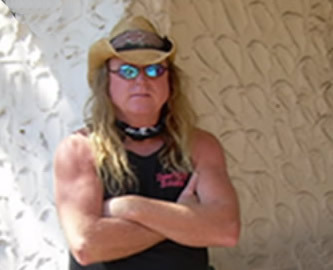 Since the early 70's, Chris has toured extensively across the U.S. from Anchorage, Alaska to Key West, Florida playing with notable musicians and bands such as Vic Dana, Red Hot Chicken, Deep South, & Desperately Seeking Fusion. Chris has jammed with many fine musicians including Gregg Allman at Capricorn Records, Billy Jones (The Outlaws), Randy Z & Mo Potts (Johnny Winter), Blues Saraceno, Gregg Wright, Mark Chatfield (Bob Seger), Joe Franco, David Muse (Firefall), Mike Pinera (Iron Butterfly), David Munkoff and more. He was asked to audition for Steve Perry (Journey). 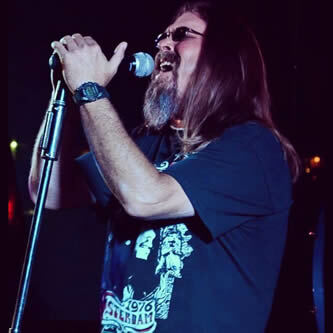 He’s performed at local and regional clubs and concert venues such as Daytona Beach & Leesburg Bike Weeks, Jacksonville Blues Festival, and the Crawfish Festival. Chris is happy to be playing with his friends of Highway Starz. 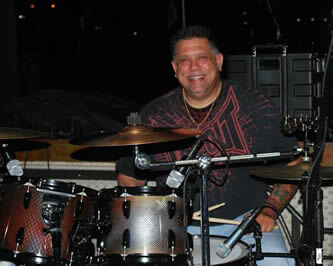 Richie started playing drums at the age of 7, influenced by his dad, who also played drums. He has had the good fortune to play in multiple projects in his career. He performed all over the East Coast with a band he founded called Diablo Canyon which included very dear friends and outstanding musicians. They opened for such acts as Marshall Tucker, Molly Hatchet, 38 Special, Mickey Thomas, Edgar Winter, Diamond Rio, Aaron Tippon, The Southern Rock Allstars, Pat Travers, Brooks and Dunn, Gary Allen, Leon Russel, Trick Pony and more. 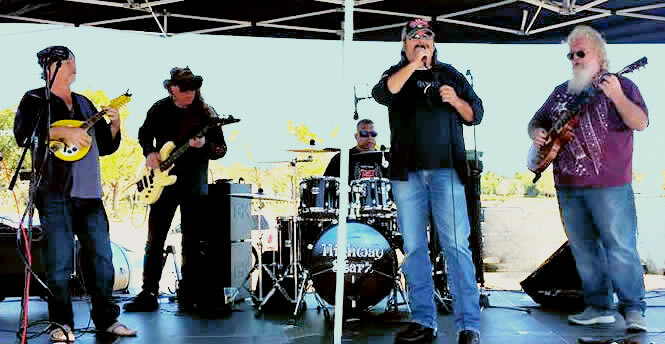 After departing from Diablo Canyon, Richie founded the popular local band, JeNDeR. JeNDeR lead the Central Florida band scene for four years and over 1,100 shows. Next, Richie created, "THE ACCUZED" that also went on to perform numerous high profile shows throughout Central Florida. 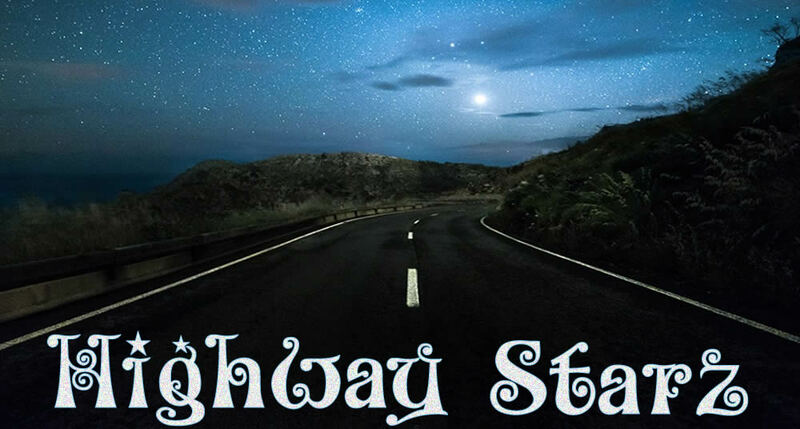 Richie's newest creation is a Classic Southern Rock and Blues Band called "HIGHWAY STARZ" . Richie proudly teams up with Jim Rogers , Greg Beasley and Don "Fletch" Fletcher. Truly a band of amazing musicians!! Richie is truly grateful to all of the friends and fans they've made since the inception of the band and thank each and everyone of them for their support. 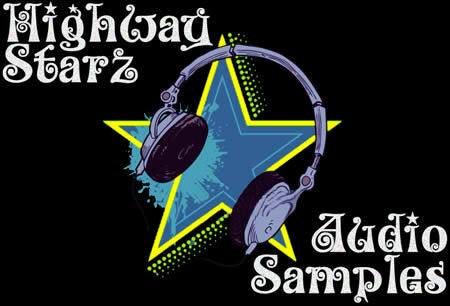 He says, "Keep your eyes and ears open for "HIGHWAY STARZ", you won't be disappointed!" Gary always intended to be a musician but due to recruiting ethics, found himself working on electronics for helicopters for the Navy in '79. After serving 8 years, Gary decided he should try music again. His last duty station was in Memphis, which he figured was a great place to get back into music. Here Gary transformed into a musician in great demand for recording. Gary moved to Florida in '97 and have been working with many fine musicians ever since. Highway Starz is certainly no exception! Gary is thrilled to be working with such truly talented musicians!